Sometimes days whittle down in my head to miles. I string them together, lay them end to end, and forget everything else. The purpose shifts to a destination, a city at the finish line, a single moment. Get to Charleston, to New York, to Burlington. Get there then breathe again. I forget how to see the world. Days blur together on the edges. Moments disappear. And finish lines feel empty. Then a ribbon of cliffs falls into the grey-blue water of Champlain. Storms turn the sky into a patchwork of light and darkness. Mountains stretch across the horizon. A rainbow rises off the eastern shore. And I remember why I’m here. Not miles or destinations, not to cross some finish line, but to be out in the world, to see beautiful moments, to remind myself that they will always mean more than numbers on a piece of paper and a point on a map. 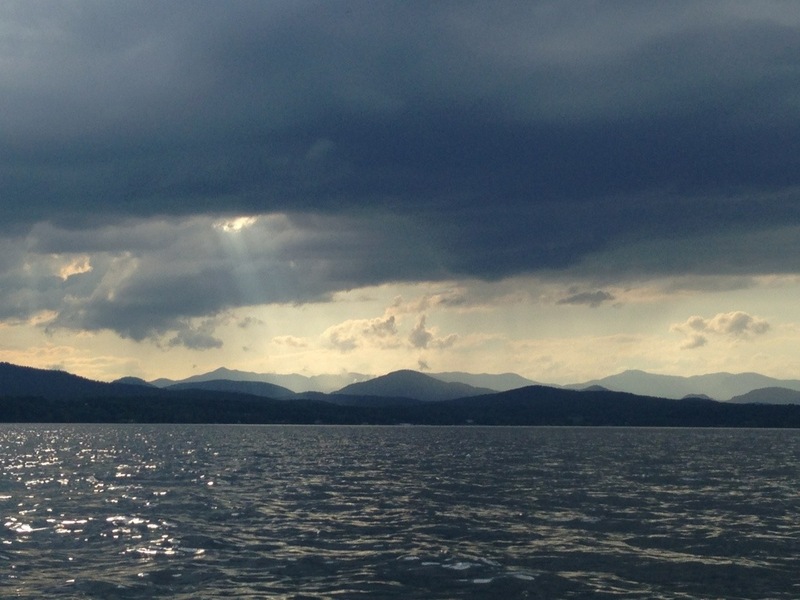 Posted in Angle to Key WestTagged adventure, Angle to Key West, beautiful places, cliffs, lake champlain, rainbows, split rock parkBookmark the permalink. We honor the gift of life when we live in the moment. It is a difficult construct to understand and achieve in our culture but once you get glimpses of it, your life is never the same. Thanks for the gorgeous photos of my old stomping grounds!